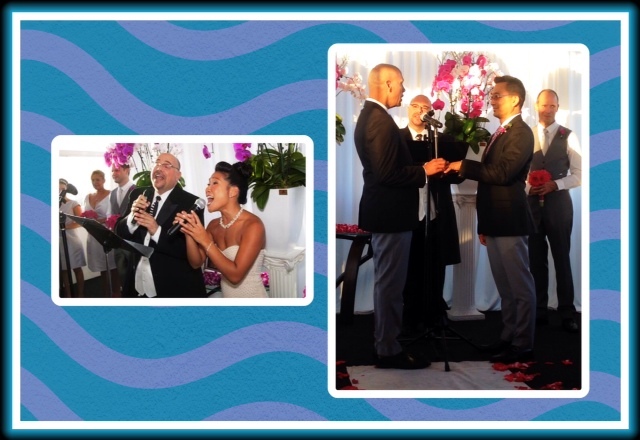 This summer, I enjoyed the privilege of both officiating and singing at the wedding of my friends David Mateo and Paul Nakauchi, aboard a yacht which sailed through the beautiful waters of the Marina del Rey harbor. I was joined by lovely and talented Kay Trinidad, to usher the grooms toward their union in song. What a gift it is, to be called upon to celebrate love.